Welcome to another month of Feasting. I have been both blessed and challenged by what has been shared in the month of April. Thank you to everyone who linked-up with their own thoughts on motherly feasting. Laura at Windy Hill Homeschool shared her thoughts on an influential book, Elizabeth Prentiss’ Stepping Heavenward. Remember the saying “great minds think alike?” Well, this month Mandie from Teaching Future Dragon Slayers and Anna from Mahers Hill Academy each brought our attention to the importance of learning things that don’t come easily. Carol at journey-and-destination seemed to continue this thread of thought with her post on Uniting Scientific and Literary Cultures. Kati from Purposeful Abnegation shares with us her plans and schedules for a Pre-Mother Education Course, and River from Beautiful Chaos discusses how her personal Feasting has been working out in the flow of daily living. This month, I have at last ventured into the world of Tolkien and am listening to The Hobbit as my current audio book. I’m still allowing myself to be quietly filled with wonder, but when I read the following passage in Elisabeth Elliot’s Loneliness, I found myself particularly struck by it. The heroes of the world’s great legends let themselves in for all kinds of fearsome troubles because of the promise of a great reward – the favor of the king, a pot of gold, marriage to a princess. Because there was a shining goal they entered in with heart and will to participate in the as yet unseen and unknown hazards of the dreadful journey. Their heroism lay in acceptance – a wholehearted acceptance of conditions other men would avoid at all cost – and in endurance. The dark caves, tunnels and labyrinths were not problems to be solved but hazards to be traversed, the storms and heavy seas were to be braved, the giants and monsters to be slain. All were accepted and endured in view of the prize. It reminded me once again of the value of reading literature, of spending precious time in the world of heroes and villains, saints and sinners, trolls and goblins. To be reminded of the hazards, and the worthwhile prize. For the past year there has been a quote from Mere Christianity on the side of my refrigerator. “The real problem of the Christian life comes where people do not usually look for it. It comes the very moment you wake up each morning. All your wishes and hopes for the day rush at you like wild animals. And the first job each morning consists simply in shoving them all back; in listening to that other voice, taking that other point of view, letting that other larger, stronger, quieter life come flowing in. And so on, all day. As someone who is naturally lackadaisical and tried to make up for this flaw with frantic attempts to do everything and satisfy everyone, this quote really touched me. Sometimes I forget, in all of my laboring to do right, that my effort isn’t, (or at least ought not to be,) all about me. It’s about doing the work that my Lord has given me to do, and doing it within the limitations that He has seen fit to place upon me. But I can only do that work if I can hear His Voice. I have found the stillness of the morning to be the best time for this. I no longer check my phone before I get out of bed, or grab my tablet and spend a few happy moments on the wonderful AO Forums. I don’t sit right down and review the busy day ahead. I take my pen, and copy out a few verses from Hebrews. I sing a song, and pray for a little while. I’m trying to seek His voice first of all, and I’m finding it makes is easier to distinguish His voice from all the others. Hello again, my friends. It’s been a while, hasn’t it? Though absent from the blogging world, I have been quite active in the “everyday life” world. Indeed, thanks to an unexpectedly restful month spent at my parents home, I have found myself finally managing to blend my grandiose ideas into the nitty-gritty of everyday life. Truly, the past two months have been a time of feasting for this (once weary) mother. You see, in spite of all my contemplating on the need for something other than practical pursuits, I was used up. Wrung out mentally, emotionally and physically, with only my own needs and broken dreams overwhelming every moment of my days, I lacked any strength with which to enact change. I had lost all perspective, wandering in some lost land and terrified that I would drag my children into it with me. But thanks to my many gracious and wonderful online friends, and their wise pursuit of better things, I was able to realize that I had lost all perspective. So one day my sister called, and I spoke honestly about the things I was struggling with. Quick decisions were made, and I found myself at my parent’s home, resting. Suddenly I had help in the middle of the night. Suddenly I could rest and my children were still tended to. Suddenly my family was surrounded with love and care, and all I had to do was recover. Suddenly I realized that I had never been created to face such things alone, that others stood ready to pick up the burden I could carry no longer. Suddenly I understood why God tells us we need each other. The biggest change began with a book I purchased on a whim a while ago: The Book of Not So Common Prayer. Written by Linda McCullough Moore, I had never heard of either the book or the author. I can not remember the last time I purchased a book without having some inkling of what the pages would contain. But purchase it I did, and in those early days at my mother’s house I began to read it. As I read these pages and wrestled with the ideas contained within them, I found myself pointed back to where I needed to be: at the feet of Jesus. One passage that I found particularly convicting was this: “Do we pray in order to know God better? Or do we pray in order to tell God what he and we already know in great detail about ourselves, our lives, our needs, our wants and wishes, our miseries and dissatisfactions, and the ultimate direction we would like to see things go, failing in the end to know the Lord to whom we pray?” This was exactly what I had been doing. My first weak struggles back towards the land of the sane and capable were accomplished on my knees, a book open before me and my pen at my side. I began to copy out the book of Hebrews by hand. I finished The Book of Not So Common Prayer and I began another. I emerged from my daze and found that I had thoughts again, thoughts worth speaking of. I smiled at my children again, and gradually they relaxed in my presence as my constant tears subsided. I learned to first place my troubles at the feet of Jesus before I discussed them with others. So the next day I left my messy living room a mess. We went outside and spent all morning in His creation while we learned. Instead of panicking and scolding myself for oversleeping, I would waken and thank God for the rest He had allowed me to enjoy. I planted flowers outside my door, and I picked up a book, and I read for 10 minutes. Two days later a kind friend called and asked is there was any way she could help. So I swallowed my pride, invited her over, and she helped me clean that awful living room. As I scribble these thoughts into an old, water-damaged notebook, I am reminded again of my need for balance. The blending of idealism and reality is not impossible, but it is difficult and requires discipline. Meals, tidying up, clean laundry: none of these things are less important than they were before. Rather I must continue to do That Thing I Hate: walk away from a task and move on to the next thing that must be tended to. Maintain rather than complete. Every time I choose to do something I am choosing not to do a hundred other things. Therefore the things I choose must matter. That’s been my journey these last few months. How have you been? I’d very much love to hear about what you’re studying, learning, feasting upon. Question: would you all enjoy it if I began to post a collection of links on this and related topics midway through each month? Any posts on this topic are welcome. From practical to philosophical, from grand plans to nitty-gritty implementation, there is much need for this issue to be discussed. This link-up will be open for a month: please feel free to add more than one link during that time. Remember to link to a specific post and not your whole site. ………you realize chubby hands and fussing babies are being directed towards the toy box instead of snuggled on the couch? ………. you face reality and acknowledge your long-term love affair with picture books is not going away? ………..there is a Read-Aloud Revival podcast urging everyone to begin a reading streak? 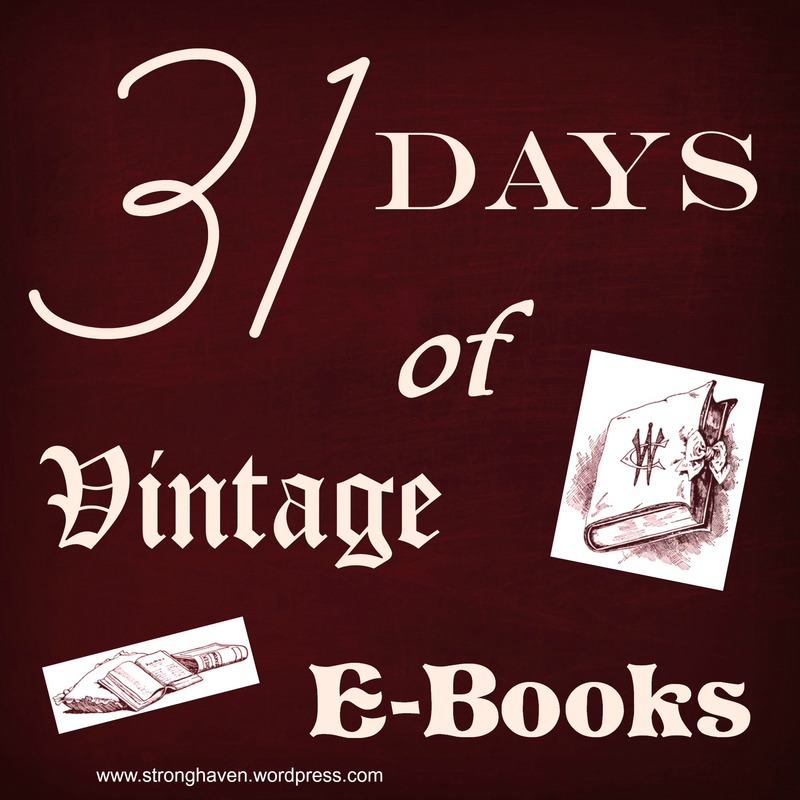 ……….. you finally sign up for Instagram and realize you have an excuse to share book pictures? Well, a brilliant idea is born, of course! 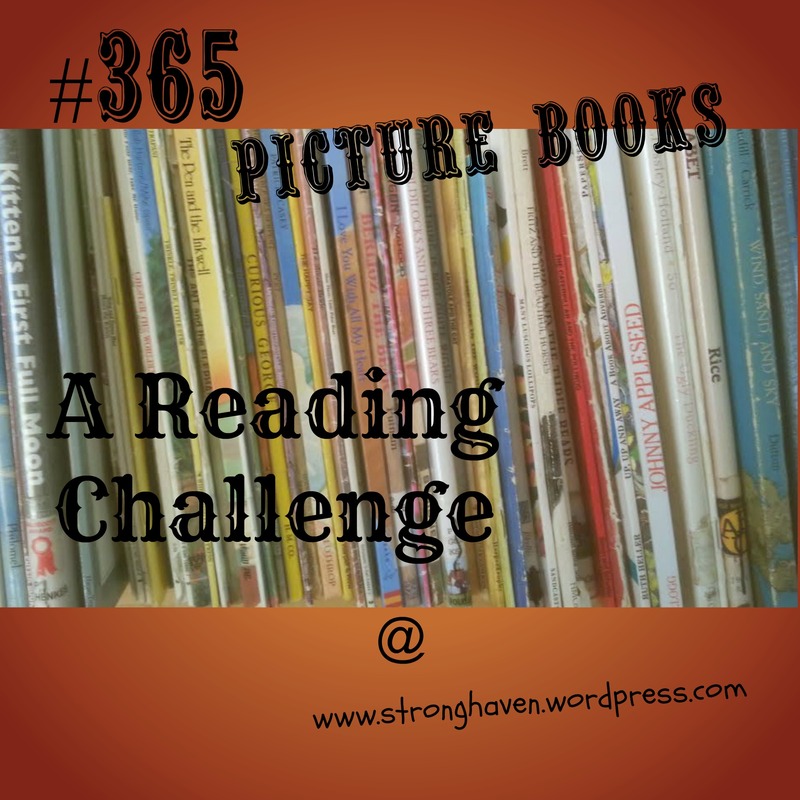 I’d like to invite you all to come along as we read through 365 picture books in 2015. Taking place via social media as well as here on the blog, I’m going to indulge my passion for picture books, snuggles and writing all at once. You can expect to be bombarded with photos of picture books via Instagram. Each bok will have the title and author listed, as well a number indicating how close we are to reaching our goal. Quaint commentary from equally quaint youngsters will be shared (if appropriate). There will be a blog series that discusses absolutely nothing but picture books. Alphabet books. Recent releases. Peter Spier. Folk tales. Fairy tales. Caldecott Medal authors. Really-rotten-books-I-wish-I-hadn’t-grabbed. The only limit I’m going to place on my enthusiasm is a requirement that any book I review must be in my personal collection. From time to time I’ll post some mystery pictures, and we’ll see who can identify the book. There won’t be a prize other than the soul-wrapping warmth of having properly identified a beloved illustrator. Which is, obviously, the greatest prize of all. I’d love for others to take up this challenge as well. Grab the image from above for your blog, and/or post about your progress on the social media platform of your choice. Use the hashtag #365PictureBooks, and remember to include the number of books you’ve read so far. Anyone who can make it through 365 different picture books, and has posted about their progress on a regular basis, will get their name on the 365 Picture Books honor roll. Just because. It’s January! 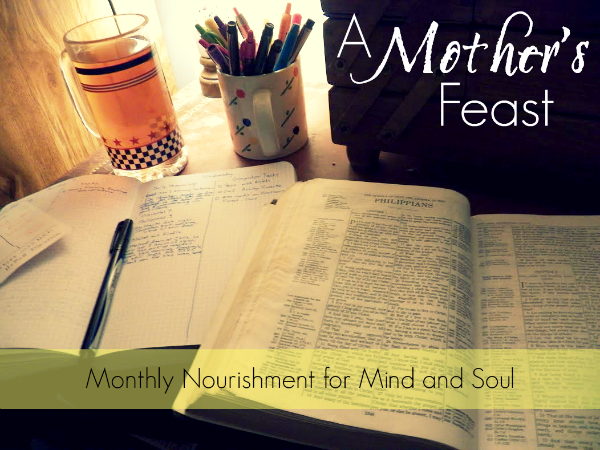 Which means it’s time for our very first A Mother’s Feast link-up here at Stronghaven. In case you missed it, here’s the original “What is this all about?” post. I’ve been humbled and encouraged by the outpouring of interest in this endeavour. Most of my ideas start out quite impulsively and never come to fruition, and it’s mostly due to all of you that history did not repeat itself this time. A special mention goes to Brandy Vencel for designing the nifty graphic, as well as to Mystie Winckler and Karen Andreola for their valiant encouragement. Thank you, ladies. This post has been difficult to write. Not because I lacked ideas, but because I had so many! Should I tell of my personal plans for learning in 2015? Should I write a heart wrenching essay on why this issue matters so much? Should I chatter away about seasons of life and making time? I hope to write all of those posts eventually, but for today I’ve decided to share a story. It’s the story behind a picture, the picture that has become the image representing A Mother’s Feast. What a rich morning it was! I’d woken to a quiet house, I had quietly brewed my tea, and sat down at my desk with my Bible, Spurgeon’s Morning and Evening devotional, my handy bullet journal and a cup of colored pens. The house was warm with the bone-soaking, toe-heating warmth that only wood heat brings, and I wrapped my hands around my mug of tea and felt content. As I read through the morning’s devotional selection I was struck by how the words of Spurgeon echoed words that my brother had spoken to me only the day before. I quietly contemplated the words I had read before choosing an elegant blue shade of ink with which to capture the concepts I was contemplating. I read a chapter from Proverbs and one from Philippians, choosing a verse to copy into my journal as a rich thought for the day. My devotions over, I texted briefly with My Man, who had already been at work for hours. As I spoke with him, I looked at the scene before me and briefly basked in the love it portrayed. My mother-in-law’s sewing box, filled with all our art supplies. The patriotic mug my own mother sent to me. The pens my husband purchased for me just so I wouldn’t have to choose. The Spurgeon devotional, a gift from my sister-in-law when I was spiritually struggling. My hard-cover Thompson Chain Reference Bible, a birthday gift from My Man. In the crib behind my back the baby stirs, wakens and fusses. On the couch beside me a sleeping boy stretches, and sits up. The quiet is over. Lightly bouncing the baby on my hip, I balance the camera in one hand and attempt to capture my morning moment. Toddling feet cross the kitchen, and a sleepy Boo greets me with “I’m so hungry, Mom!” It’s 5 AM. This was a real morning in my home. I really did sit and bask in the richness of it, and I found my soul refreshed and filled, able to face the day ahead with increased equilibrium. But there was more to that morning than idyllic moments. The reason I was up so early was a massive toothache that had been stretching on for days. The house was so cozily warm because I had risen every few hours throughout the night to feed the stove. The bitter cold outside had made the pick-up engine refuse to start, which meant My Man hadn’t been able to take the propane tanks to town to get filled. I was unable to sip on the tea I brewed: the warm liquid aggravates my tooth. My Man would be coming home early today, but only because I have been unable to head out into the biting cold to feed the critters. When I sat down at my desk I had to clear a place on the floor for my feet: I had not been able to vacuum for a few days, and had not even insisted on tidying the living room the night before. Less than an hour after I snapped that photo I was curled up on the couch, holding a heat-pack to my face and moaning while the children stared in horror. I want everyone who looks at the restful photo of my morning to remember that it occurred as one moment of peace in a very chaotic day. This is how our feasting will generally occur. Only rarely do we have grand moments that come together when everything lines up properly. No, the majority of our time for nourishment will come when we step away from the necessarily busy pace of the day to quietly feed our souls a few words. Much of my reading will occur due to insomnia. My commonplace book will always contain those baby scribbles from when I failed to shelve it properly and my little ones decided to imitate mother. Many early mornings will be missed because the baby nursed three times that night and I was semi-comatose. Many devotionals will be read under my covers as I try to keep the light from waking the children just yet. Many book discussion thoughts will be scribbled on the backs of envelopes and grocery lists, and many of those scribbles will never reach another mind. But they will happen, and they will be my feast. This past week began with My Man being gone on business. Together the children and I managed to hold the loneliness at bay by having a giant “sleepovers.” Each night everyone but the baby piled into my bed and we watched Brave on the laptop. And when it was over we’d just restart it, until everyone had drifted off to sleep. Then I would lay in the darkness and listen to the sounds of their breathing, and feel the bed gently wiggle as each one turned and tossed, and I would feel so thankful. Thankful from the depths of my soul that here, surrounding me, were little people who depend on me and keep me depending on God. We had fun making some felt crafts as gifts for Thanksgiving, and I particularly enjoyed listening to Rosie agonize over which Superhero mask she should make for her father. “The Hulk is strongest, but Batman is the most handsome…..” She eventually chose to go with Batman. Then, glory be, he was home for 4 days straight and we slept and snuggled and cooked and built and shopped and loved and laughed and generally basked in the warm glow of Thanksgiving and the haze of prosperity with which we are blessed. I have about 20 blog post drafts, 3 gifts to make and a Thanksgiving celebration to plan. So I thought I’d take a moment to do what I do best: procrastinate. It’s sort of Amy Jo’s fault. Okay, it’s all her fault. She mentioned Bullet Journals, and I just HAD to look it up one morning, which led me to discover that it would solve ALL of my problems and I would magically become superwoman! Okay, not quite. I’m jumping in mostly because (A) I’ve had this grid journal for years and now have an excuse to use it and (B) as much as I love Paperless Organization, there are aspects of it that really didn’t work for me. It requires periodic access to an electronic device, and I’m wasting too much time on those. Also, I don’t think it’s good for the children to see me constantly checking my tablet, which they mentally associate with gaming. But I absolutely need something which I can access repeatedly. 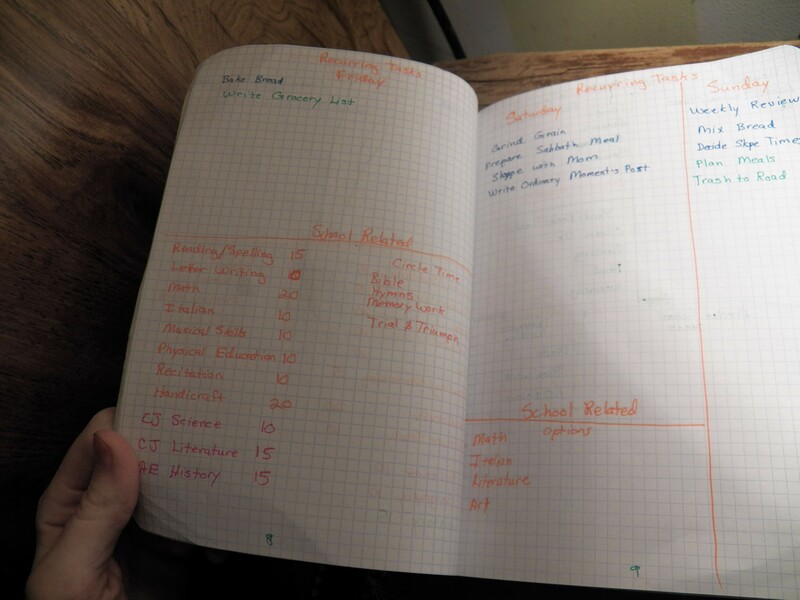 I don’t know if Bullet Journaling will solve any of these issues, but I managed to set my system up in tiny bits throughout the day: it was the least time-consuming to figure out of all the systems I’ve tried. Admittedly, the principles and methodology laid out in Paperless Home Organization have gone a long way towards helping me discover what does and does not work. All that to say… I couldn’t find anything about homeschool mothers utilizing such a system. So I figured I’d talk a little about what I’m doing, and later I’ll decide if it works. I have a set of “beginning pages” immediately after the index which contain information I need to reference to plan my days. Daily Rhythm this page reminds me not to get bogged down into one particular aspect of our day. Recurring Tasks These pages remind me of tasks that will roll around regularly. I have one page for monthly tasks, one page for each day of the week, and I *might* add a daily page, I haven’t decided. School Notes One page for each topic, in which I can write down a book to buy, a memory selection to add to the rotation or a resource I am considering utilizing. Many of these ideas come to me during school time, and I don’t like trying to enter them into the Evernote. Important Contacts There’s not very many addresses and phone numbers that need to be kept on paper: but for those that do, they go on this page. Planning Ahead If there’s an important event that’s far enough ahead I don’t have the pages prepared for it, I will mark it on this page and then transfer it to the appropriate month when ready. Chore Lists We have 1/2 hour chore times after every meal, but I have trouble focusing on my work and coming up with tasks that the children can tend to. They each have a few standard chores, but those only take them 10 minutes or less. 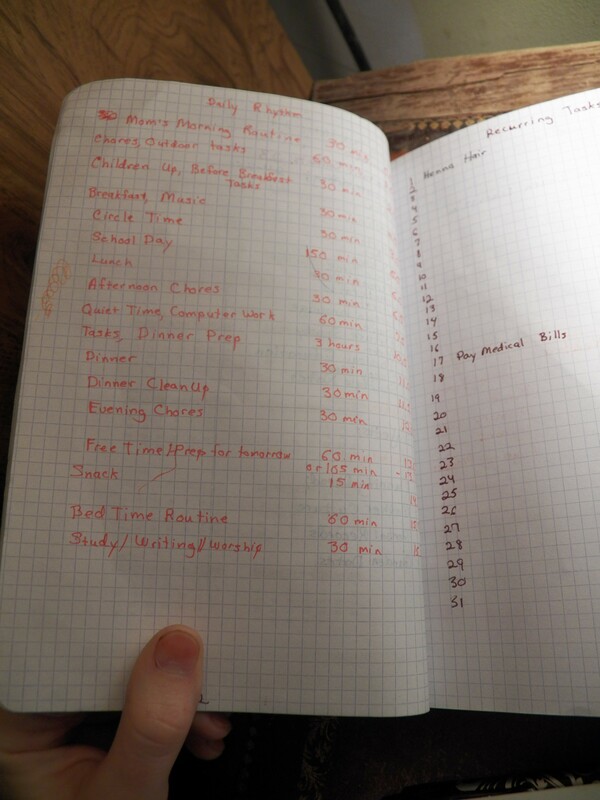 I’m hoping that by having a standard list of appropriate chore ideas, I can look at the beginning of each day, decide what is the most pressing need and add it to their list of assignments. I gave each month it’s own shopping list. The Daily Calendar is where I really changed things up. I tried going with just one page, but not far into the first day I realized that I’m going to need a two-page spread for each day. Household is anything related to indoor maintenance. School is anything related to the children’s education. Personal is where I jot down tasks for my personal education, notes on the children’s health or behavior, a prayer request, an inspiring thought or a tender moment, a book I want to add to my list, a letter I want to write…..
Farm is for anything related to outdoor maintenance: the garden and animals both come under this heading. Writing is where I will add blog tasks, thoughts I want to share on the AO Forum or note one of the 100 random (but catchy!) sentences that occur to me throughout any given day. Our Pumpkin is truly blossoming. Adorableness abounds. She can very clearly nod “yes” or “no” to questions. What’s funny is when she hasnt quite decided on her answer, so she swings her head in a few circles before settling on one or the other. 🙂 Even though she’s not talking at all she understands everything said to her, and her ability to answer questions is quite handy. She’s running to give hugs when Daddy comes home. She’s bringing books to anyone she thinks might read to her. She calls the cat by running around the yard meowing loudly. She giggles when birds come to the feeder outside her window. Unfortunately, her talent for disaster has taken some precipitous bounds as well. It started last Sunday with the Cornstarch Incident. The next day she discovered how to climb atop the kitchen table, where she not only broke the eggs that were in the basket, but she carefully painted a path across the table with them, and then climbed down and added egg to the cabinet door…. And her hair…. And the floor… and the wall…. all within the space of half a math lesson. The following day, my lovely little lady discovered how to open the toilet, a source of endless wonder. And then, she found the dog bowl……..
Life, lived rapidly, seems to be my Ordinary Moments these days. Oh, and it looks like the cat is pregnant as well as the dog. The children discovered a large orange tom far up a tree the other day. They spent the better part of their free time trying to coax him down, or climb up to him, but neither option succeeded. The following day he was gone, and now Clever is looking suspiciously rotund.